ONCHAN, Isle of Man – June 15, 2017 – PokerStars, an Amaya Inc. (Nasdaq: AYA; TSX: AYA) brand, is halving the buy-in for this week’s Sunday Million from $215 to $107.50 while retaining the $1 Million guarantee, so the world’s biggest weekly online poker tournament will represent extraordinary bang for your buck this Sunday, June 18. Limited edition $2.50 Spin & Go tournaments running from now until Sunday will also be awarding tickets for this weekend’s half-price Sunday Million. The Sunday Million is also paving the Road to Barcelona with gold with €25,000 ticket drops during each Sunday Million from now until July 2, which will take place 50 minutes after the start of the tournament. Players should register early to make sure they don’t miss out. The ticket drop will randomly award players participating in the Sunday Million with €215 or €10 PokerStars Championship Barcelona satellite tickets. Players who make the final table of each Sunday Million in June will also be gifted a €215 satellite ticket. 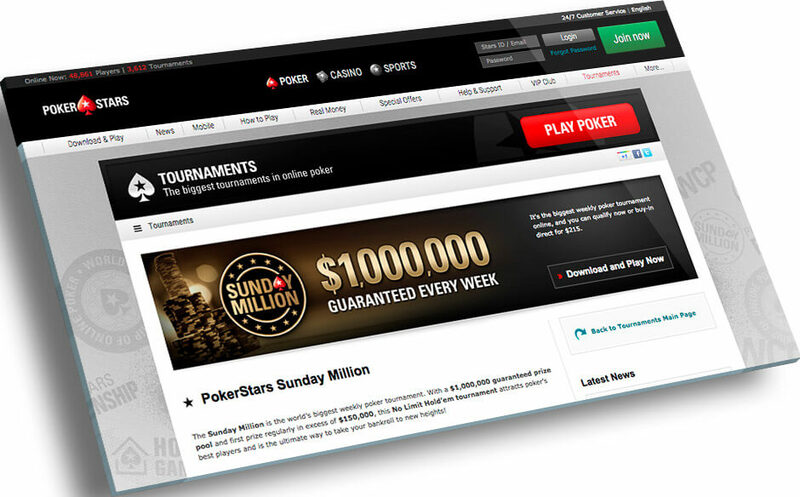 Players can register for the next Sunday Million on the PokerStars mobile or desktop clients.